If time entries don’t appear on the invoice, you have to check if the task they are associated with is billable or not. Go to the project you wish to create an invoice for → Tasks → select Table view (top-right) and check the Billing Type of the task. 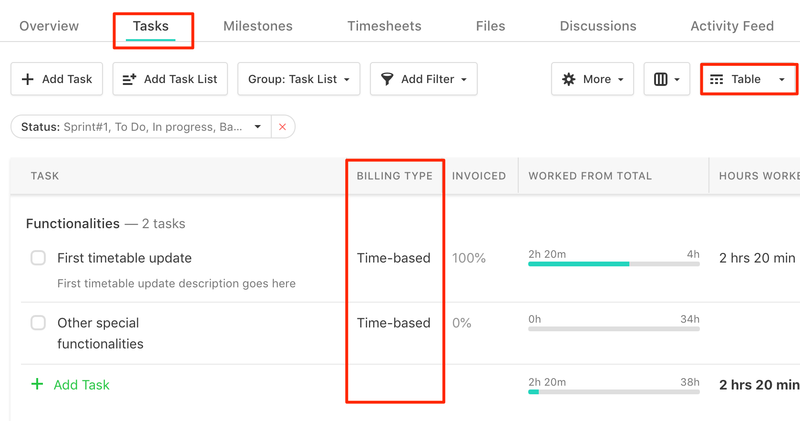 It needs to be time based in order to create an invoice based on your tracked time.